By definition, most chemicals are biodegradable because they’re capable of being broken down by the action of living things, such as microorganisms. However, there’s no universal definition or certification for the marketing claim “biodegradable”. 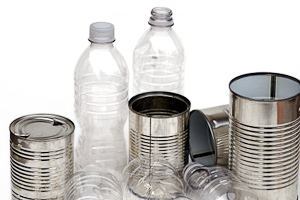 The Federal Trade Commission (FTC) has issued general guidelines on what types of products qualify as legitimately biodegradable, and has even sued companies for unsubstantiated, misleading and/or deceptive use of the term on product labels. Current FTC guidelines state that for marketers to make such a claim, an entire product or package should completely break down and return to nature within a “reasonably short period of time” after customary disposal. A new proposal to tighten these guidelines further defines a “reasonably short period of time” to be no more than one year after customary disposal. The FTC also states that marketers should not make unqualified claims of biodegradability for items destined for landfills, incinerators, or recycling facilities, because decomposition will not occur within one year. BioMass Packaging continues to conform to FTC guidelines for all products we sell and represent. How quickly an item decomposes into the earth depends on its basic components, the percentage of its biodegrading materials, and where it is left to decompose. Do research online to further determine the biodegradability and compostability of certain products, and how long each product may take to break down completely. These would include food items, plastic resins, packaging materials, bags, and consumer products. 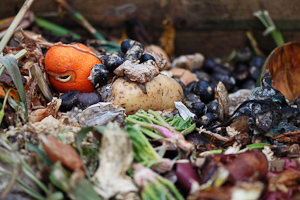 Also, a few third-party organizations that offer voluntary standards and labels to companies have created scientifically based, standards and certifications for compostability of certain materials. The Biodegradable Products Institute (BPI) is a non-profit organization that educates manufacturers and the public about biodegradability as it relates to composting bio-plastics materials and other coatings and packaging that may go into commercial compost facilities. ASTM standards 6400 and 6868 and its Compostable label may be found on products such as garbage bags, service ware, and packaging. 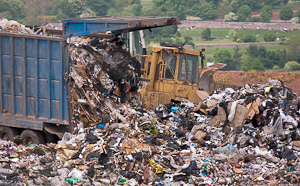 About 70% of materials that are routinely disposed of in landfills could be recycled instead. More than 30% of bulk municipal garbage collections consist of paper that could be remade into other paper products. Other materials like plastic, metal and glass can also be repurposed. Recycling these materials can not only greatly reduce the amount of waste disposed in landfills, but preserve our limited sources of nonrenewable raw materials.